Tony Ray is a legendary crime boss. He was famously acquitted of a charge of counterfeiting in the 1980s &, although he's now an old man living in a nursing home, his name has not been forgotten. His son, Joe, seemed to be following in his father's footsteps until he was murdered, shot in the showroom of the family's secondhand car dealership. Joe's brother, John, witnessed the murder. John is the straight one of the family. Head boy at school, university, qualified in accountancy, then years living in Spain, John had just returned to Leeds when Joe was murdered. Now, two years later, he's taken over the dealership. He's living in a studio flat created from the conversion of his old high school. The Honours board hangs on his wall with his name in the list of Head Boys. His girlfriend, Denise Danson, is a police detective, although her superior officers aren't pleased that she's going out with a member of the Ray family. John's life couldn't be more of a contrast with that of his family. John has just won an award as Dealership of the Year (Yorkshire Region) . The morning after the award ceremony, Denise is called out to the scene of a murder. A young woman has been found in the boot of a car. A car that John had bought days before. A car that his salesman & friend, Freddy Metcalfe, has been seen driving. John can't get in touch with Freddy, who has disappeared. And then, the police find $50 000 in counterfeit money hidden in the car. Counterfeiting was the Ray family business in the old days, along with selling fake perfume & the secondhand car business. The police don't think it's a coincidence that the dead girl, Donna Macken, & the funny money, was found in a car belonging to a member of the Ray family. John is in the clear with Denise as his alibi but that doesn't mean the police won't try their best to implicate him if they can. When Freddy is found & refuses to talk, it looks like an open & shut case. John decides to find out who the killer is & he finds himself involved in a world that he had hoped to have left behind forever. Hope Road is a fast-paced, exciting novel. The action takes place over just three days & the author does a great job of filling the reader in on John's history at the same time as the plot is hurtling forward. Often the victim is forgotten in crime novels, they're just a convenient plot starter. In this book, Donna is a real character, although we only see her through the eyes of others & a few grainy frames of CCTV footage. A beautiful young woman living with her mother, father long since gone. 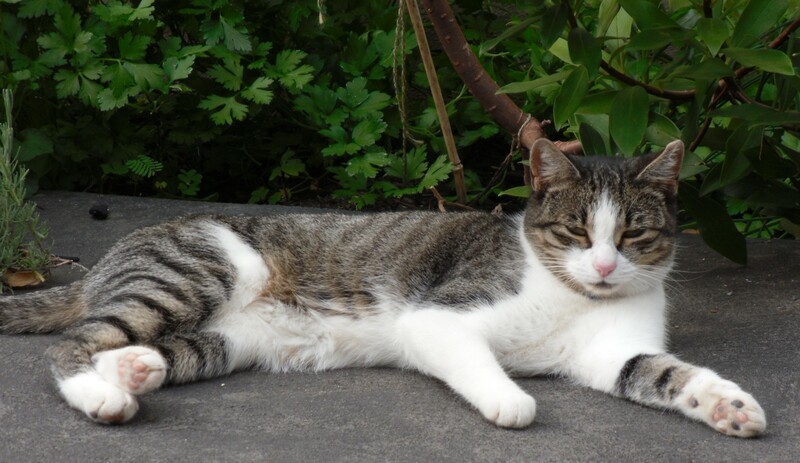 Involved in drugs & prostitution but planning a way out with Freddy, her protector, friend & lover. She was last seen at a rundown motel in the company of Freddy & two dodgy Ukrainian tractor salesmen. John's search for the truth leads him into this murky world. John Ray is an ambiguous character. He seems to be playing straight but there are hints that there's more going on in his life than the reader knows. The uncertainty about John & his motives certainly kept me on my toes. The minor characters are also intriguing. Connie Garcia, John's half-step-cousin, is a delightful character. Connie has come over from Spain to work in the dealership & John employs her as a favour to his father & the Spanish relatives he barely knows. Connie transforms the atmosphere with fresh coffee & croissants for the customers &, with her training at the Madrid Business School, keeps meticulous records. Although Connie seems to spend all her time on the phone chatting to her boyfriend, she's a shrewd young woman & has a few surprises in store for John. Hope Road is the first in a series & I'm really looking forward to reading the next book. I have to admit that Hope Road probably isn't the kind of novel I'd pick up if I saw it at work or in a bookshop. The cover & the blurb sounded a little bit too hardboiled for my taste. But, when John Barlow kindly emailed me & offered me an ePub copy, I thought I'd see whether my preconceptions were right or whether I should try stepping out of my comfort zone. I started reading at lunchtime last Tuesday & it was a real struggle to close down the e-reader & get back to work. I was immediately drawn in to the story & John is an intriguing character, I wanted to know more. How did someone with his family background end up as an award-winning car dealer & in a relationship with a police detective? Hope Road is written in present tense & I don't usually like that but, in this case, it suits the story & adds to the urgency of the plot & the breakneck pace. I very soon forgot what tense it was in. There's also a couple of very violent scenes but I read those very quickly! John Barlow is an experienced writer with several other books published in the traditional way with traditional publishers. I especially like the title Everything but the Squeal, a travelogue & memoir about Spain, where John now lives. He's decided to publish Hope Road independently as an e-book & it's available at Amazon, The Book Depository & anywhere else that sells e-books. 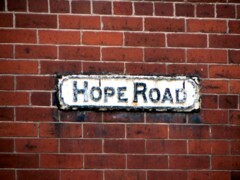 Hope Road is the first of a series of nine novels about the Ray family. I can't wait for the next book. More information on John & his career can be found at his website. This is a lovely anonymous Elizabethan lyric, collected by John Dowland (picture from here) in his Third and Last Book of Songs or Ayres in 1603. A beautiful arrangement of it was used on the soundtrack of Ang Lee's Sense & Sensibility which is where I first became aware of it. You can listen to that beautiful version here & here is the scene from the movie where Marianne sings the song, listened to attentively by Colonel Brandon. 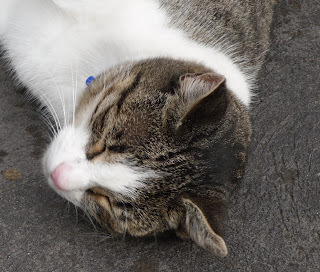 It's very hot in Melbourne at the moment. 34 degrees yesterday, 38 today and 34 tomorrow. I have a terrific new thriller to review, Hope Road by John Barlow, but it's too hot to sit in the study and write the review. I'm sitting in the cool lounge room writing this on my new iPad - which is really my friend P's old iPad. P has upgraded and set me up with a wireless network which is very useful on days like today. I can sit in the coolest room of the house and type this while working out how to use the iPad and everything that goes with it. BUT, I couldn't work out how to add a photo because the post would look boring without one (I've got all my photos on the iPad but still couldn't do it). So, here I am, sitting in the study, typing very quickly, adding a photo & then scuttling back to the cool kitchen to think about salads for dinner. Poetry tomorrow & hopefully my review of Hope Road early next week (after the cool change). I want to be loyal, I have no trouble being loving, but I can't always put myself aside for some more demanding requirement, I can't abase myself, obliterate myself because of what Dan has to do. And wants to do. Don't forget that. He loves the Army. Loves it. He is fulfilled by it. I love to see him fulfilled, I promise I do. But I can't live purely on his fulfillment. Alexa Riley is married to Dan, a Major in the Army, just returned from a tour of duty in Afghanistan. Joanna Trollope's new book explores the pleasures & pains of family life within the institution of the modern Army. Alexa was a young widow with a daughter, Isabel, when she met Dan, a career soldier. They married & now have three year old twin girls. Alexa has put her career on hold as the family moves to the tune of Army requirements. Isabel goes to boarding school & hates it. Alexa has had to deal with all the everyday issues of school, one of the twins needing glasses & the dog, Beetle, developing mysterious lumps, living in a house that isn't their own & that she wouldn't have chosen if she'd had a choice which of course she didn't. She has also had the offer of a job, a job that she knows she can't accept because Dan could be up for promotion when he returns & that will mean another move. It was easier on those bloody ships. Took for ever. Plenty of time to readjust, get bored. Now it's decompression like a bloody diver, wham, bang, out of ops and back in your own bloody bedroom with the wife wanting the moon and stars. Dan retreats into life at the barracks, taking comfort from the routine, the hierarchy, drinking with his best mate, Gus, visiting the men who have been wounded. Alexa's frustration at her inability to really connect with Dan comes to a head when Isabel runs away from school & then Gus moves in when his wife leaves him. The Soldier's Wife is an absorbing novel. Joanna Trollope immerses the reader in this world where order & discipline are paramount. Wives & girlfriends are expected to subsume their lives & the lives of their children into the Army way of life. In some ways, the Army's expectations haven't changed since Victorian times. To create an elite group of fighting men, they have to be broken down & then built up again in the Army's image, as a team, men who trust one another with their lives. Dan loves being a soldier but he also loves Alexa & his children & he struggles to find a way to be true to both. I loved the characters, especially Dan's father & grandfather, both old soldiers. They understand the stresses of Dan's life but they love Alexa & don't want to see the marriage fall apart. Alexa's parents are also concerned but more distant. Her father was in the diplomatic service & Alexa had been unwillingly sent home to boarding school so she can understand Isabel's misery. Alexa has gone along with the situation because she loves Dan but suddenly Isabel & the job offer push her to the edge of her tolerance. In a way, this book harks back to the themes of The Rector's Wife, the book that was Joanna Trollope's first bestseller. It was the first of her novels I read & it's still my favourite. Anna Bouverie is struggling with the same problems that Alexa does. The Church is just as hidebound & inflexible as the Army. The wives & children of clergymen have the same struggle to be independent of "the job" as the wives of officers in the services. Anna says at one point, "I married the man, not the job. I'm not an outboard motor, I'm another boat." 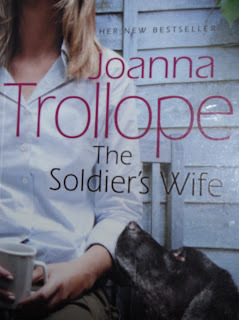 I love the way Joanna Trollope gets right inside family relationships & shows us all sides of a dilemma. The Soldier's Wife is a really satisfying novel. 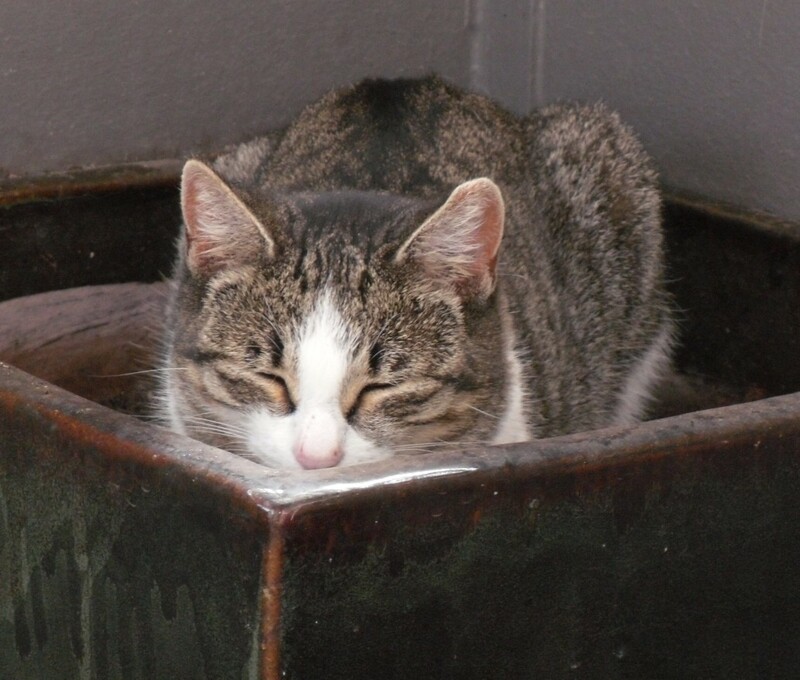 and Phoebe asleep in a plant pot. I've just removed the climbing plants that were in this pot on the back porch as they'd died & I want to try something else when the weather cools down a bit. 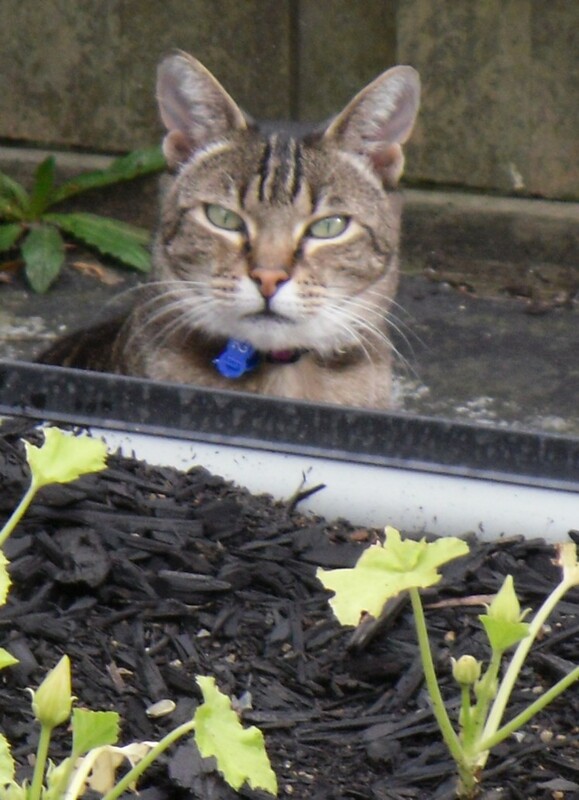 Phoebe thought I'd removed the plants because they were in her way. Of course. Have a happy Monday wherever you are. I'm certainly learning a lot about obscure English poets as I browse through my anthology looking for interesting poems for this weekly post. I had never heard of George Granville, Lord Lansdowne (photo from here) but I discover that he was the grandson of Bevil Granville, the Civil War Royalist general. 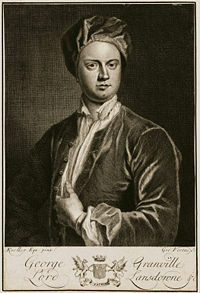 George Granville was an MP for Cornwall & Minister for War under Queen Anne but eventually flirted with the Jacobites after becoming disillusioned with his treatment by George I. Dr Johnson was pretty scathing about his poetry & his real claim to fame is his support of Alexander Pope. I don't know who Mira was but several poems are addressed to her. She seems to have led the poet quite a dance if this poem is anything to go by. To vex a tender heart? Love throws in vain his dart. But gentle vows and love. A thousand worlds too few. Behold it in my heart. I've had a very disjointed reading week. After reading three books last week, I haven't finished anything this week at all. I've read five archaeology magazines & this week's instalment of Martin Chuzzlewit. My online reading group is reading Martin in celebration of the Dickens Bicentenary. It took me a while to hit my stride because the opening chapters are quite verbose, full of characters & none of them very nice. However, the last two weeks have been much more enjoyable. Martin has gone to America with Mark Tapley (this was a ploy by Dickens to increase sagging circulation for the book's magazine publication & I must say it needed something to get things moving!) & back in London, we have met Mrs Gamp at the deathbed of old Anthony Chuzzlewit. I've been longing to meet Mrs Gamp ever since reading Miriam Margolyes's Dickens's Women a couple of months ago. I'm also about to start reading Zola's Germinal with my 19th century book group & I'm looking forward to that. Then, I started reading Riceyman Steps by Arnold Bennett on my e-reader. I keep reading recently that Arnold Bennett is a much underrated writer. Then, I read Harriet Devine's review of Clayhanger & I remembered that Riceyman Steps had been recommended to me as well so I already had it downloaded & ready to go. Well, it turned out to be a frustrating experience. I was enjoying the book when suddenly the pages started skipping forward at a great rate & then the reader froze. I eventually unfroze it by plugging it in to my PC & I thought all would be well, just a glitch. But, it happened again the next time I sat down to read & only resetting the reader would get it working again. At this stage I was hunting out the receipt for the reader & muttering that this sort of thing never happened with a REAL book. Then, I thought it might have just been that file so I've started reading another book on the reader, Emergency in the Pyrenees, by Ann Bridge & so far, all is well. I was about to reach for one of my favourite comfort reads, Excellent Women, by Barbara Pym when the new Joanna Trollope novel, The Soldier's Wife, came in at work. I had to move this to the top of the pile because there's a long line of reservations on it so I started reading last night & I'm half way through. 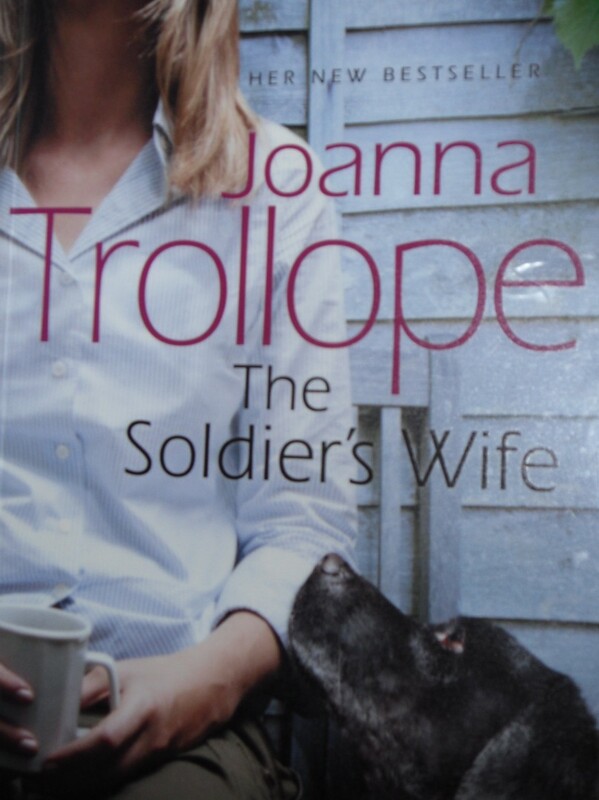 I love Joanna Trollope's books & this one is fascinating, about the stresses on an Army family when the man comes back from Afghanistan. I hope to finish it this afternoon. Don't worry, this post isn't just a moan about all the reading I haven't done this week. When I look at what I've written, I have actually read quite a bit, it just hasn't resulted in finishing any one particular book. I have discovered that there are several exciting books to look forward to in the coming months. Mostly reprints but also a new book from Catherine Bailey who wrote Black Diamonds, a fascinating book about the coal mine owning Fitzwilliam family of Wentworth House. Bailey's new book, which is not out until November, is called Secret Rooms. It's about the Rutland family of Belvoir Castle. Sounds like another investigation of family secrets in a grand house. I can't wait! Elizabeth Taylor has been growing in popularity & critical esteem in recent years, mostly thanks to Virago's reprints of her novels & Nicola Beauman's biography, The Other Elizabeth Taylor. 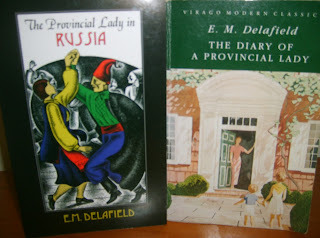 There have also been movies made of two of her books, Angel & Mrs Palfrey at the Claremont. 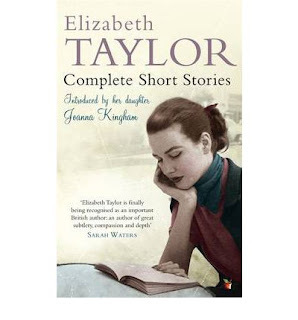 It's the centenary of Taylor's birth this year & there are celebrations happening all over the blogosphere. 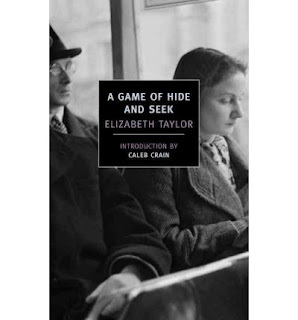 Virago are publishing the Complete Short Stories in June & New York Review Books have just published stylish editions of A Game of Hide & Seek & Angel. 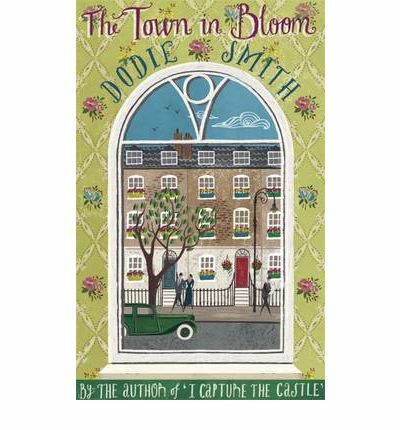 New reprints of three of Dodie Smith's adult novels are coming soon from Corsair, an imprint of Constable & Robinson. The Town in Bloom, It Ends with Revelations & The New Moon with the Old are out in March. I love the covers. I've only read I Capture the Castle, although I have the recent Slightly Foxed edition of her memoir, Look Back with Love, enthusiastically reviewed by Elaine, on the tbr pile. 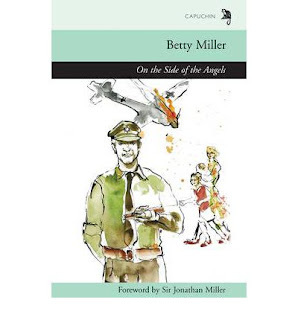 I've wanted to read Betty Miller's WWII novel, On the Side of the Angels, ever since I read Persephone's reprint of her Farewell, Leicester Square. Published in 1945, this is an exploration of the psychological damage of war. Capuchin are reprinting it in May. If you pop over to Capuchin's website, you can also have a look at the brand new cover design they will be unveiling with their July titles. Nicholas Blake was the pseudonym used by the poet Cecil Day-Lewis for his detective novels. I remember reading some of these as a teenager so I'm very pleased that Vintage are reprinting lots of them in May. Four titles will have striking new covers (you can have a look at them here) & the rest will be in their plain generic POD covers. They will also be available as e-books. So, lots of good things to look forward to. I've kept to my usual New Year resolution of not buying any books so far this year but I know I'm going to be buying some of these. I'm strong but not that strong! If I hold out until May, I'll be pleased & surprised. I've read three excellent books in the last week so I thought I'd write one post with all three as I don't think I'll have time this week to write longer posts & I don't want to forget the details. In a way, they encapsulate my reading interests. A historical biography, a 19th century novel & a murder mystery. Matilda of Flanders was the wife of William the Conqueror. 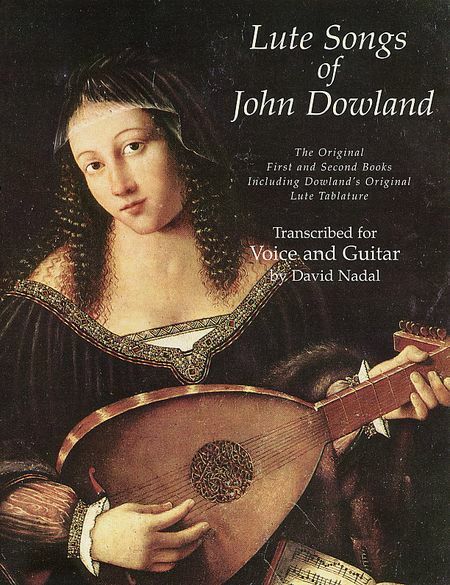 Biographies of early medieval women are few & far between because there is very little information. Queens & abbesses are the only women whose lives may be chronicled at all & almost always in relation to their family - father or husband. Matilda was the daughter of the Count of Flanders, descended from the royal houses of England & France & very proud of her lineage. It is said that when she was told that William, Duke of Normandy wanted to marry her, she refused contemptuously because he was illegitimate. William had succeeded his father as Duke at the age of nine & surprisingly had survived the endless plots & assassination attempts. The chroniclers say that he rushed to Flanders, grabbed Matilda by the hair & beat her unmercifully. She was taken to her rooms more dead than alive but, when she recovered from her injuries, declared to her father that she would marry no one but William. 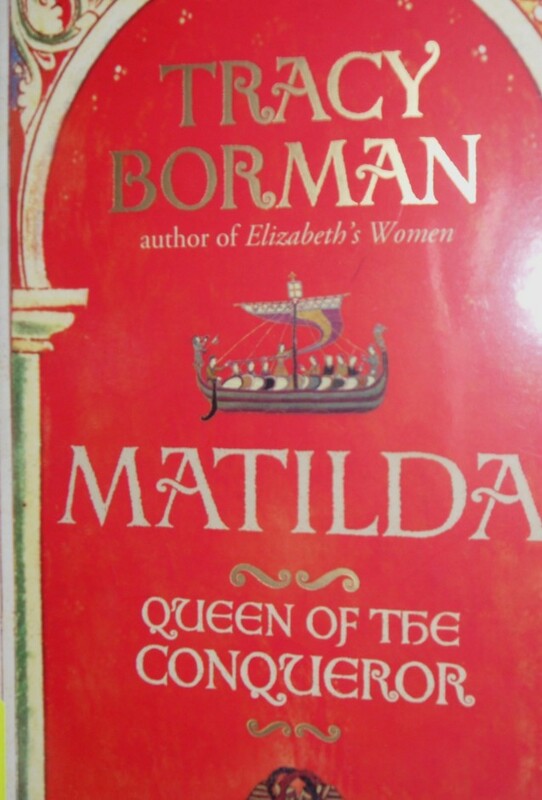 This is one of many legends & stories about Matilda that Tracy Borman debunks. The chronicle that relates the story was written 200 years later & there is no known contemporary source for the story. Tracy Borman has been able to get a little closer to Matilda than to many other medieval queens because she often acted as Regent of Normandy when William was in England - most famously in 1066 when he was defeating King Harold but also in the difficult years afterwards as he was consolidating his rule. Matilda was an active Regent, signing charters & conducting diplomatic negotiations with neighbouring rulers. Even after her eldest son, Robert, had grown up & she shared the regency with him, Matilda was the dominant partner. 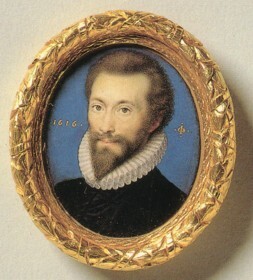 The marriage of William & Matilda was considered a happy one & they had at least nine children. Conflict between them intensified, however, as their sons became adults. Matilda's favourite was the eldest son, Robert, contemptuously called Curthose (short-boot) by his father on account of his short stature. His stature may have been inherited from Matilda who was a tiny woman, only just over four feet tall. William had no time for the boy &, although he was destined to become Duke of Normandy, he was ignored by his father in favour of his younger brothers, William (later William II of England) & especially Henry, the youngest. Matilda's support for Robert, even to the extent of supporting him in a rebellion against his father, soured her relationship with William, although he was said to be devastated by her death. Tracy Borman's biographies are always well-written & full of the details about women's lives that I find fascinating. I enjoyed her earlier books about Henrietta Howard & Elizabeth I very much. Matilda was a forceful woman, not content to be merely the subservient partner in her marriage, & that was unusual in this period. I enjoyed finding out more about her life. 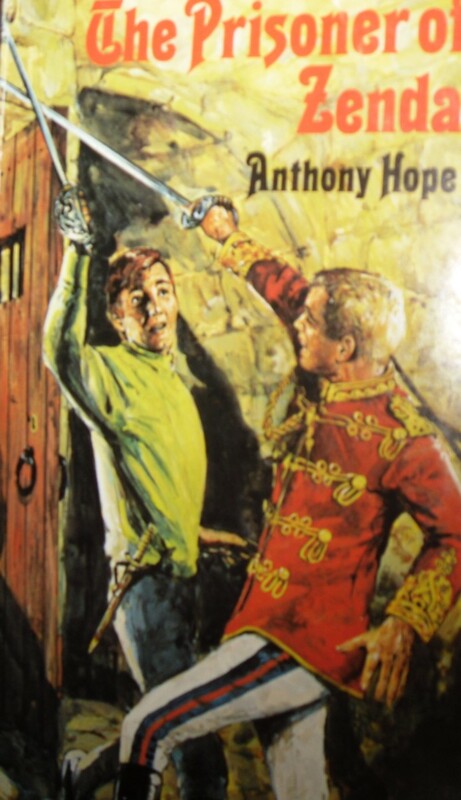 The Prisoner of Zenda by Anthony Hope is a classic adventure story with a gorgeous romance as well. It's probably one of the most famous adventure stories of all time & has been filmed at least twice - with Ronald Colman in the 1930s & Stewart Granger in the 1950s. Rudolf Rassendyll, a descendant of the royal house of Ruritania (but on the wrong side of the blanket) has inherited the red hair of the Elphbergs & enough money to idle his time away. He decides to visit Ruritania for the coronation of his distant cousin, Rudolf V. As soon as he arrives, he becomes involved in misunderstandings because he looks so much like the King. The two cousins meet & spend the night before the coronation drinking. The King's jealous brother, known as Black Michael, drugs the King's wine, hoping that his non-appearance at his coronation will allow Michael to usurp the throne. When the King can't be wakened from his drugged sleep, Rudolf is persuaded to take the King's place. Rudolf is coached in his role by two of the King's retainers, Colonel Sapt & Fritz von Tarlenheim. With their help, he is crowned King &, when they discover that the King has been kidnapped by Michael & is being held at his castle of Zenda, Rudolf continues the impersonation while plans are laid to free the King. Rudolf doesn't plan to enjoy his new role so much or to fall in love with beautiful Princess Flavia, the woman who is expected to marry the King although she doesn't love him. Rudolf must play a wily game, as Michael & his henchmen can't expose him without exposing their own misdeeds. The scene is set for an exciting story of plots & counter-plots, sword fighting & romance. There's also an extra layer of complexity to the story as Rudolf realises that he would be a worthier King than his cousin but is too honourable to allow him to die so that he can remain King & marry the woman he loves. Bill Slider is one of my favourite detectives. Cynthia Harrod-Eagles has written over a dozen books in this series & I always look forward to meeting up with Bill again. Melanie Hunter is an ordinary young woman. She works at the Natural History Museum, lives with her real-estate agent boyfriend in a flat in Shepherd's Bush, loves her dog, Marty. There seems no reason why she should have gone missing, let alone be murdered. But, when her neighbour reports her missing, & then her body is found soon after, Slider's team start digging into Melanie's life & find that she had secrets. Melanie's father was killed in a train crash when she was a teenager. Her mother remarried, a strict, unsympathetic man who Melanie never liked, but after a few rebellious years, Melanie settled down, studied hard & became a palaeontologist. Her career was on track, she was living with her boyfriend, Scott Hibbert, & they planned to get married. Scott had gone to a friend's wedding for the weekend, Melanie had drinks with her friends, came home, went out again almost immediately taking only her keys & disappeared. Downstairs neighbour, Ronnie Fitton, alerted the police because Melanie would never have left the dog alone. However, when Melanie's body is found & the investigation starts, no one's secrets are safe. Fitton murdered his wife in a notorious case & spent years in prison. Scott Hibbert wasn't at his friend's stag night as arranged & Melanie's stepfather's alibi for the night in question looks increasingly shaky. Melanie was loved by everyone but someone must have had a motive for killing her. Was it someone who loved her too much? 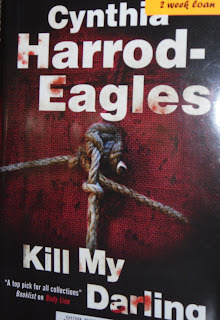 Cynthia Harrod-Eagles writes a beautifully-constructed police procedural with clues, suspects & red herrings a-plenty. Bill & his team are old friends now. Jim Atherton, suave, too clever for his own good & now, after many commitment-free years, settling down with Emily & their Siamese cats. 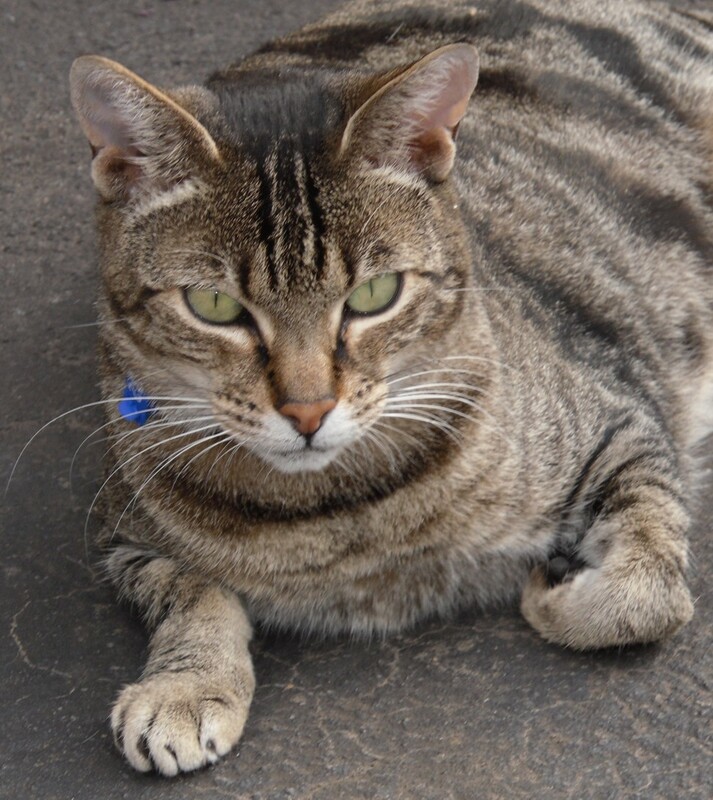 Rita Connelly, a newer member of the team, compassionate, clever & determined to do well. My favourite character is Detective Superintendent Fred Porson. Porson's malapropisms & mangling of the language are hilarious but he's a supportive boss & lets Slider get on with the job with minimum interference, except when the Press are demanding arrests. Bill's family life is also happy with his wife, Joanna, baby son George & his father all sharing the house. 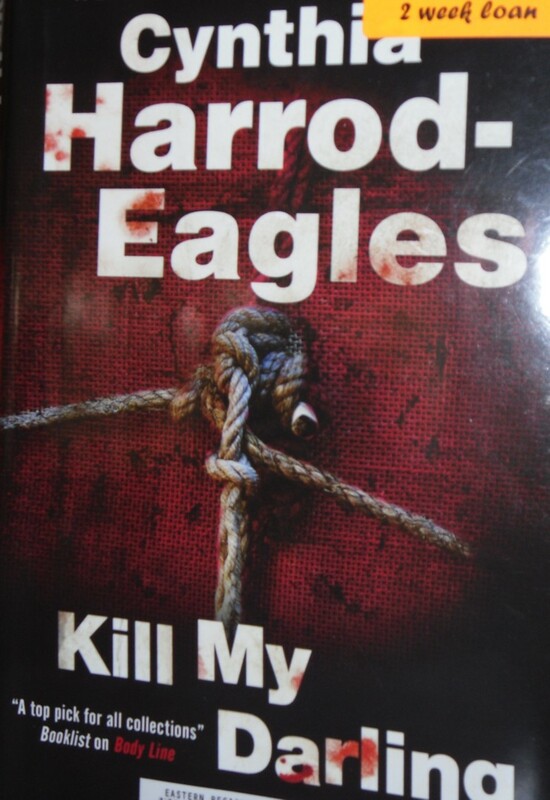 Harrod-Eagles is such a good writer & Kill My Darling is an absorbing novel that I read virtually in one sitting. 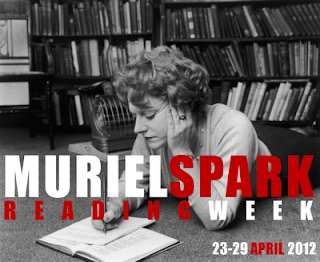 Simon & Harriet are hosting a Reading Week in April about all things Muriel Spark. I think Spark is a brilliant choice as her novels are all quite short so easily read in a week, her books are readily available & she wrote fiction & non-fiction. I'm going to swim against the fictional tide & reread her book on Emily Brontё, first published in 1960 & last read by me in the 1980s. It was written with Derek Stanford & examines the life & the work with special reference to the poetry. As you can see from the lovely badge created by Thomas, Muriel Spark Reading Week runs from April 23-29. Visit Simon & Harriet's blogs for all the details about how it will work. I was surprised to come across this poem by John Donne in my anthology as it's another variation on the Passionate Shepherd to His Love poems I've featured recently by Marlowe & Raleigh. It's called The Bait & Donne has really just taken the first two lines & the verse form of the Passionate Shepherd & beautifully explored the image of his lover as a water nymph, attracting every fish & young man) to her with her beauty & her sun-like brilliance. Of course, a nymph can be treacherous as well as inviting & although the lover is enthralled by her, he doesn't seem sure that it's a good place to be. Warmed by thy eyes more than the sun. It's been six months since Lucky & Phoebe came to live with me & here are a few photos I took the other night. It's always easier to get photos of Phoebe because she loves to pose. Lucky is shyer but it was such a lovely, warm evening that she was too comfortable to move. I think this is a particularly serene photo. Actually they both look content (they've just had dinner) & quite pleased with life. It's been an exciting six months. 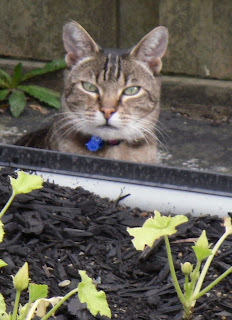 I've had to learn to worry less & trust that Phoebe knows what she's doing & won't fall off the roof & that Lucky will always return from her wanderings around the neighbourhood. They get on together quite well although they're not at the curling up together for a snooze stage yet. They both sleep at the bottom of my bed, just on opposite sides. We've had a lovely time getting to know each other & as long as I keep up the expected standards of service, I hope they'll be with me for many years to come. If you want to remember the early days, have a look here & here. I suspect that a book like Murder in the Making will be almost impossible to write in the future. In an era of email & computer crashes, there will be few caches of manuscripts & notebooks to be pored over by an eager researcher. 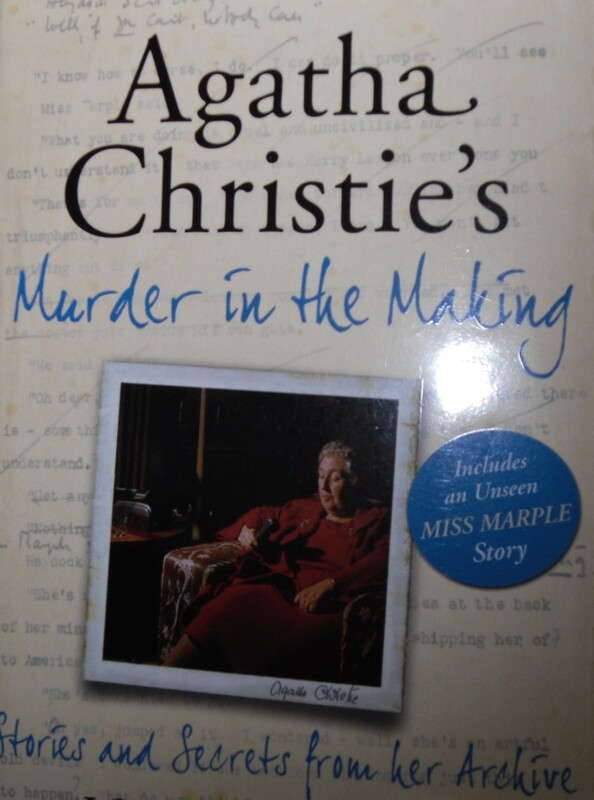 In 2005 John Curran was lucky enough to be given access to Agatha Christie's notebooks. The 73 notebooks, stored in a cupboard at Greenway House in Devon, were of varying sizes & colours, sometimes just a few pages had been used, sometimes the book was nearly full of notes. Christie seems to have just grabbed the nearest notebook when she had a thought or wanted to plan a story. She also didn't bother about dating the entries. Often there was just a name or a title, sometimes in almost illegible scribble. Curran has spent the last few years painstakingly deciphering & transcribing the notebooks. It's been a labour of love &, I suspect, it became an obsession. The results are fascinating for anyone who loves Christie's work or just wants some insight into the working methods of the most successful detective novelist of the 20th century. The linking passages are excellent in setting the scene for the various stages of Christie's career. There were periods when she was publishing two books a year, including a Christie for Christmas as her publishers liked to call it, working on short stories & a stage play or two as well as accompanying her second husband, Max Mallowan, to an archaeological dig in the Middle East. 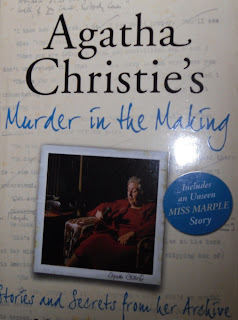 The book also includes a new version of the Miss Marple story, The Case of the Caretaker's Wife, an article Christie wrote about her invention of Poirot & a letter she wrote to the Times supporting A L Rowse's theory about Shakespeare's Dark Lady. There are also lists of unused ideas from the notebooks. Even at the end of her life, Christie was still jotting down ideas for future books. Unfortunately her ability to extend these ideas into novels had gone. Murder in the Making is a fascinating insight into the creative processes of an incredibly successful novelist. I found it interesting to see how often she used the same idea - least likely suspect, intentionally misleading the reader in the first chapter - but every time she made the plot twist fresh. Even a reader who had read every Christie would have trouble spotting the trick & that was the secret of her great success. Today's poem is an anonymous lyric from the play Fedele & Fortunio or The Two Italian Gentlemen, translated from the Italian in 1584. The play was considered popular & influential in its day but has only survived in a few extracts, songs & poems. The picture of the lovers is from here. Whose bud appears, but fruit will not be seen? Whose root is not, when all the leaves be green? To follow chance, and love against my will. 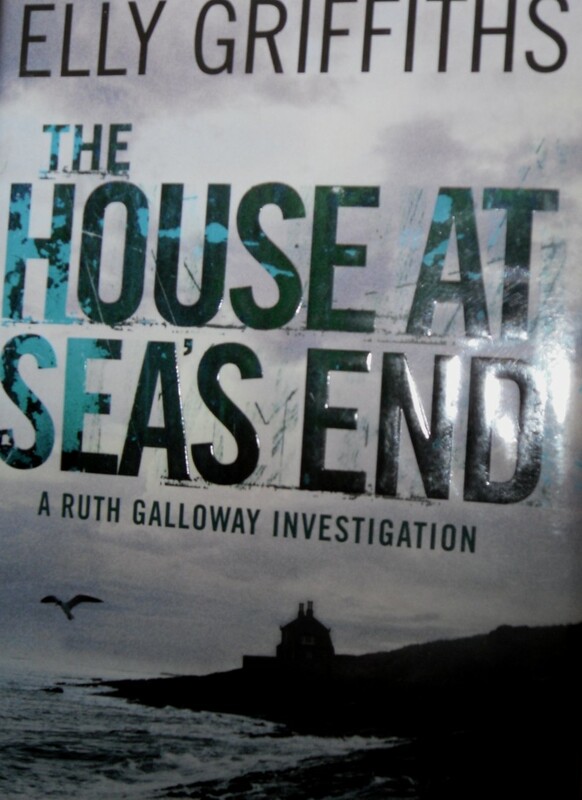 The House at Sea's End is the third book in the Ruth Galloway series by Elly Griffiths. I read the first two books in the series over a year ago & enjoyed them very much. However, I was going through my anti-crime fiction period when this was published last year so I've only just gotten around to reading it. 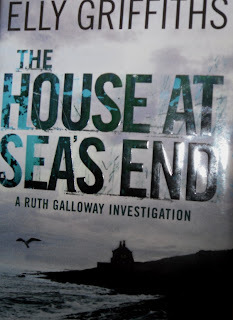 Ruth Galloway is a forensic archaeologist living on the Norfolk coast. She's often called in to help the police when bones are discovered. This is how she met DCI Harry Nelson. The immediate attraction between Ruth & Harry resulted in Ruth's pregnancy after a one night stand. Ruth decided to continue with the pregnancy alone as Harry is married & neither of them really wanted a relationship. The tentative relationship that has developed between Ruth & Harry is the main attraction of this series for me. 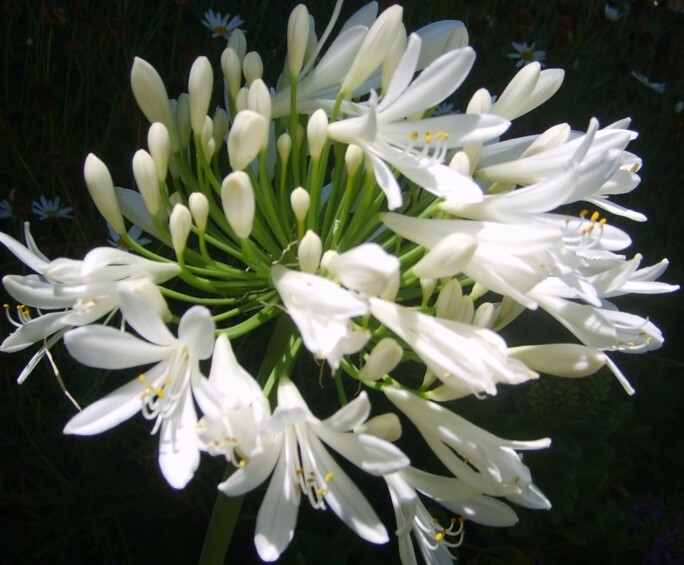 Ruth is an unconventional heroine. Overweight, unfashionable, a loner, & now, juggling work with caring for her daughter, Kate. Harry is a native of Blackpool & only moved to Norfolk at the urging of his wife, Michelle, when promotion beckoned. Harry is blunt & touchy but a good policeman who is confused by his feelings for Ruth & overwhelmed by his love for hid new daughter. He also loves his wife & their two daughters. By the end of this book, the well-kept secret of Kate's parentage looks as though it may be about to crack. The investigation involves the discovery of six skeletons on a remote section of the coastline where erosion has revealed their burial place. The skeletons had their hands tied & the men had been shot in the back of the head. When isotope analysis discloses that they were of German origin, attention turns to the legend that German troops had attempted to invade Britain along the Norfolk coast, during WWII. On the cliffs above, Sea's End House, owned by politician Jack Hastings, is also affected by erosion & looks as though it will topple into the sea at any moment. The Hastings family have lived in Broughton for generations & Jack's father had been in charge of the local Home Guard. Could the skeletons have been part of an advance force sent by the Germans? If so, how did they die? Then two old men, former members of Broughton's Home Guard, die in suspicious circumstances, just as they were about to talk to a German academic who is researching the aborted invasion. The WWII mystery of the German soldiers suddenly becomes a modern murder investigation. Ruth's investigation of the historic remains intersects with Harry's search for the truth as the elderly survivors of the Home Guard are conveniently murdered before they can talk. I do enjoy this series. The setting is atmospheric. Ruth lives in a desolate area called the Saltmarsh with no neighbours for miles. Ruth has few friends. Old school friend, Shona, & the druid, Cathbad, who is sometimes a little too perceptive for Ruth's comfort. As I said earlier, the relationship between Ruth & Harry is very subtly handled & is always interesting. I don't usually like present tense narration & it always disconcerts me although, I must say, once I'm into the story, I don't notice it. My main complaint is that Ruth is in peril of her life at the end of every book & I'm a bit sick of it. I enjoyed the setting up & investigation but the dénouement left me cold. I think we've had every variation on Ruth being attacked in her lonely house, on the marshes, on a remote beach with the tide coming in etc etc. I know it's fiction but I would love Ruth to get to the end of the book with a little less effort next time! The new book in the series, A Room Full of Bones, has just been published. I'm looking forward to it. 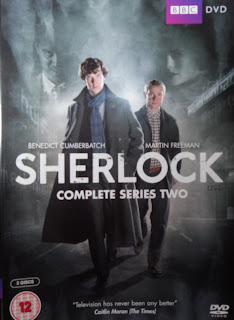 I'm not sure when I'll post my next book review as I've done very little reading since Tuesday when my copy of series 2 of Sherlock arrived in the post. 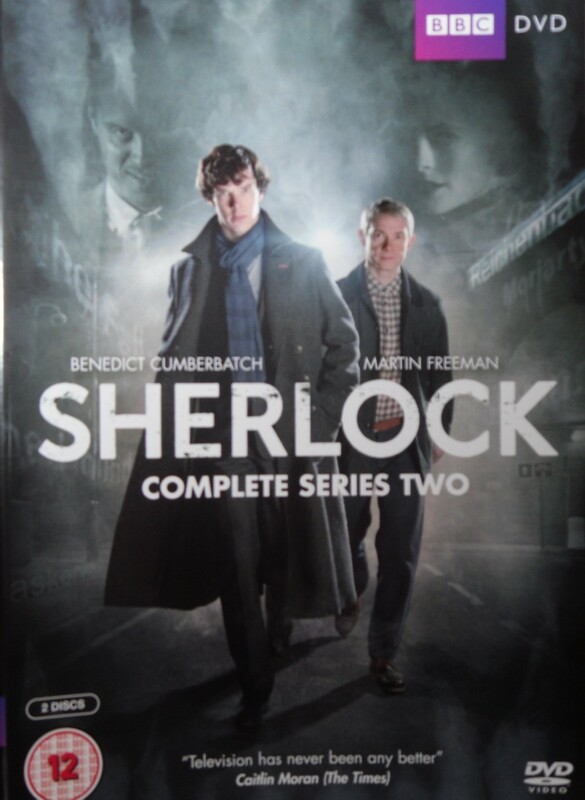 The first series of Sherlock was one of my TV highlights of last year & I couldn't wait for the new series to come to a TV screen near me so I ordered the DVD as soon as it was available. Martin Edwards has reviewed all three episodes on his blog. It is brilliant. I've watched two episodes & I'm looking forward to watching the third tonight. I love the way the writers have updated the original stories so cleverly. I could go on & on but the allusions to the originals (Geek Interpreter, Speckled Blonde), the number of direct quotes from the original stories, usually from Sherlock are so well-done. The way that the relationship between Holmes & Watson has been updated but not changed in essentials. The excellent performances from Benedict Cumberbatch & Martin Freeman. I've read the Conan Doyle stories many times & I can't help but think that knowing the originals adds to the enjoyment of watching Sherlock.